Mexico Boutique Hotels is proud to present this strategic alliance with the spanish company RURALKA given its strategies and politics concerning the exclusive and detail selection of properties as well as their atention to detail and service of ther preferred cleints. 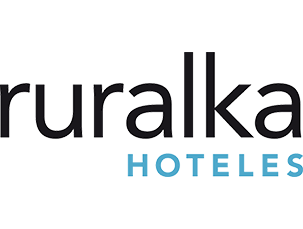 With more than 100 stunning hotels located throughout Spain and Portugal, RURALKA is reputed for certifying small, independent hotels with beautiful settings, delicious regional cuisine and unique experiences. Founded in 2002, this dedicated team has helped thousands of travelers meet charming hosts in unforgettable countryside or historical settings. Aside from this sense of place, all RURALKA properties must meet specific requisites: be family-owned and operated and not surpass 30 rooms. Every member hotel is detail-oriented, pampers their guests and focuses on wellness and quality experiences.